Previous item Relatives Funnies ... Next item Why does he treat the mushroom mushroom? When preparing tinctures, the mushrooms need to be ground, since the cellulose from which the cell membranes are composed, does not let even alcohol pass, so in order to make the tincture qualitative and efficient to grind any fungus, it is necessary as small as possible. Second, gentle polysaccharides of fungi are destroyed by alcohol, so the less degrees in vodka, the better. Eggs of Veselka (3-5 pieces). Wash it with a toothbrush, dry it on a towel, put it in a glass jar and fill with 20-percent alcohol solution (dissolve vodka with raw spring water). Put in the refrigerator for 10 days. If the eggs are not "spread out" in the solution, then pierce them with a wooden stick and stir. Keep in the refrigerator or cellar. 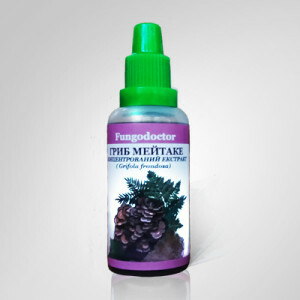 This tincture can be used to prevent viral diseases and as an immunostimulant, it can rub a patient with flu or cold. In joint diseases, Veselka acts as an immunomodulator. Tincture in the form of a compress can be applied to sore spots at 2-3 hours. Five eggs of veselka are put in a liter jar and pour half a liter of fresh flower honey, put on 10 days in the refrigerator. Take an 1 teaspoon before eating, dissolving in the mouth. Daily for nine days to eat one raw egg veselka: half an egg in the morning and in the afternoon. Eggs can be stored closed in a glass jar in the refrigerator, but make sure not to sprout: there are more mature at first. You can freeze them, but the defrosted egg must be used immediately (do not re-freeze). 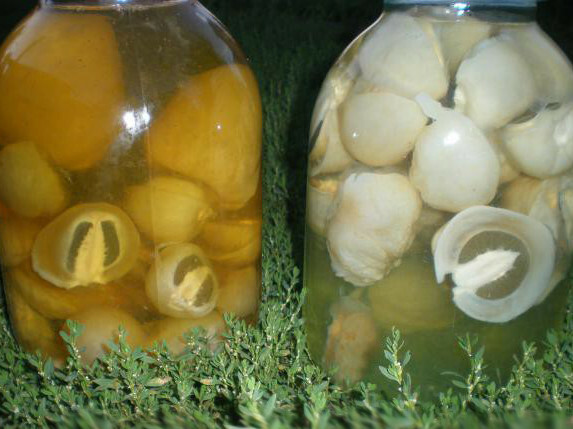 You can take eggs that have just germinated, along with the leg and cap, carefully folded into a jar, close the lid, because the smell of the veselka is too stable. At home, pour an 20-degree vodka to cover the mushroom. Later you can add a few more sprouted mushrooms. 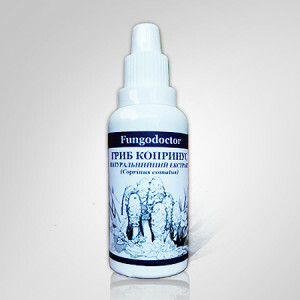 This tincture is useful for the treatment of gout, rheumatism, etc. To rub into sore spots before going to bed, it is warm to wrap. Ointment. Ripe (green) hoods paddles pour melted (50 degrees) unsalted interior fat (smaltz). On 10 hats - 200 gram of fat (you can cook and a smaller amount, observing this proportion - depending on the number of mushrooms found). Insist 48 hours. Ready ointment stored in the refrigerator. 1 sachet (3 gram of gum powder) pour in 200 milliliters of vodka and insist for two weeks in the refrigerator. Filtering is not necessary - the longer it takes, the healthier it is. Take from 1 a teaspoon to 3 tablespoons depending on the disease. 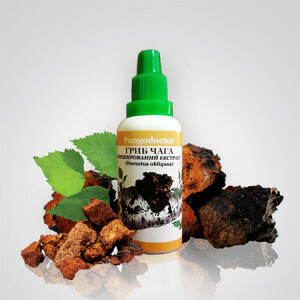 For example, to lower the blood pressure for malignant hypertension, just 1 teaspoon of this tincture is 2 once a day. 3 gram of gumbo powder (one dessert spoon) pour 100 milliliters of vodka and insist for two weeks in the refrigerator. You do not need to filter. Treat ulcers 2 times a day, but only lotions, not compresses. It is used in the treatment of hypertension, it displays cholesterol. Veselka Ordinary grows only in the wild, so it has a particularly strong therapeutic antitumor effect, compared with other higher fungi grown artificially. Depending on the disease, take 1 tea to 3 tablespoons 2-3 times per day for 20 minutes before meals. Drinking once a year tincture Veselka, you will rid yourself of the danger of getting cancer. In the first year, it is necessary to drink 3 course, in the second year - 2, and further - at 1 rate. 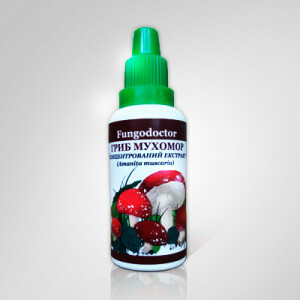 It is recommended for men after 25 and older, as well as for people who have undergone surgery, and for those who have already been diagnosed with vegetative-vascular dystonia, to use the fungus tincture. You cannot immediately take a tablespoon of 2-3, in some cases 1 a tablespoon, due to the fact that the substances of the fungus begin to act sharply, for example, on cancer cells, and can cause pain, as there is a very sharp effect on the tumor . Begin the course with 1 a teaspoon, gradually increasing the dose. 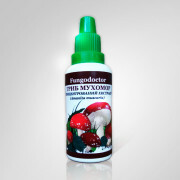 Very effective in the treatment of cancer and benign tumors (also in fibroids, uterine myomas, prostate adenoma, goiter) apply tincture mushroom Jolly. Take 1 tablespoon 3 times a day with cancer and 2 times a day with benign tumors 30 days, washing a raw fresh egg or 1 teaspoon of honey. Then they take a break for 2 weeks, then again take 30 days and make a break already for 3 weeks. To be treated it is necessary for a long time, but after each course the break should be increased for a week (at least it is necessary to pass 3 course). 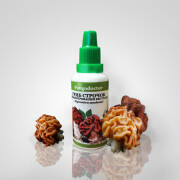 Promotes lower blood pressure (hypertension), just 1 teaspoon of this tincture is enough 2 once a day. Also veselka displays and cholesterol. 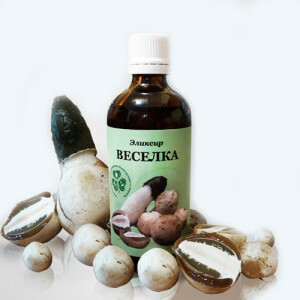 In the treatment of fungus veselka external diseases: skin cancer, psoriasis, burns, frostbite, varicose veins, as well as hemorrhoids, radiculitis, rheumatism, gout etc. Tincture is simultaneously drunk on a dessert spoon in the morning and in the evening and is used for lotions, compresses, trays, grindings. With bronchitis, fever, otitis, angina, coughing, runny nose, as well as with cystitis, conjunctivitis Tincture is taken during 1-2 weeks by 1 teaspoon 2 times a day. Also for the treatment of influenza, a cold tincture veselka lubricate the nostrils (outside), the area around them, the frontal and maxillary sinuses above the eyebrows. With dysentery, diarrhea, food poisoning quickly helps the therapeutic "sandwich": a piece of bread is moistened with tincture veselka (or smear mucus fungus) and eat it. With gastritis of various forms, with ulcer of the stomach, when the kidneys are aching, with abdominal pain, with gout and polyarthritis - within a month for 1 a teaspoon of this tincture 2 times a day. When cervical erosion use cotton swabs, moistened in tincture veselki, diluted in the ratio 1: 2 warm chamomile infusion. This solution is suitable for syringing, as well as for enemas with hemorrhoids. With mastopathy Veselka mushroom tincture is half diluted with water, clay is added, and a cake is made and applied to the breast overnight. In the morning, they remove the cake, wash the breast, and in the evening apply a new cake. At the same time drink on 1 Art. Spoonfuls of tincture 3 once a day for a month. 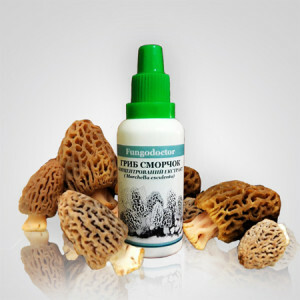 Regular grinding for the night tincture of the fungus veselka patient joints helps to eliminate joint pain. Clear the body of allergic rashes will help lubricate the problem areas of the jelly fresh mushroom. Literally, skin is cleansed within three days. Treat ulcers 2 times a day, but only lotions - not compresses. It is good to use for healing wounds on the body, cracks, with gangrene, pressure sores, etc. It is desirable to store the tincture in a cool dark place. To filter out it is not necessary, the longer it costs - the healthier.